The Rev. 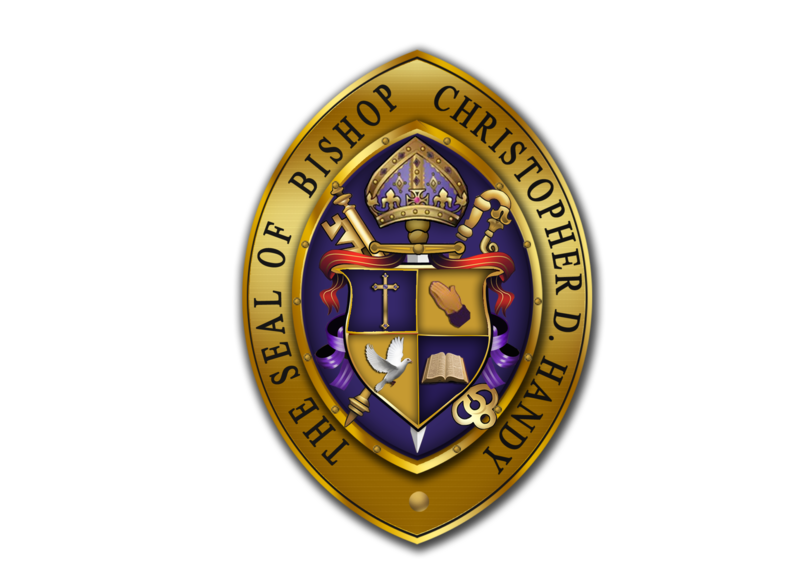 Dr. Christopher D. Handy has been speaking to audiences for over 18 years. His “down-to-earth” style is appealing and fitting for all age groups and backgrounds. Dr. Handy combines humor, passion, and expression to bring a message of Grace. Currently the Senior Pastor of a small Christian Community Church called The New Testament Bible Church which he founded in 1999. Prior to that he has served as the out-reach director of a community service program, Sunday school teacher, Sunday School Superintendent, Youth Pastor, Associate Pastor, and Assistant Pastor. Dr. Handy has the experience of “being in the trenches” that appeals to those who are working daily with adults and youths. Dr. Handy biggest passion is mentoring and working with young people and helping them to realize their full potentials. In 2001, Dr. Handy founded I.C.A.N. (Innovative Community Action Network) a 501 (c) 3 non-profit organization and community outreach program geared towards the self-betterment of all of humanity. I.C.A.N. works with the homeless, the poor and needy, those who are battling drug and alcohol addiction, and those who feel there is not hope. I.C.A.N. is a program that offers hope and encouragement, not an hand out but the means to help people to be able to help themselves. Through this program he formed a youth mentoring program for at-risk and troubled youths called I.C.A.N. Mentoring Program. An extension of the I.C.A.N. Mentoring Program is the C.M.T.P. (Christian Manhood Training Program), a rites of passage program for young boys to prepare them for manhood. To prepare young girls for womanhood, Dr. Handy formed C.W.T.P. (Christian Womanhood Training Program). This program prepares young girls for womanhood and the future and this program is taught by women. Dr. Handy has also written two books including The Scars of Racism and Readings for The Soul, These books coincide with the messages that God has a laid on his heart, which is that God has a plan for all of humanity and that message begin with Love, Love for God, Love for one another, and the courage to change the world with Love. This series focuses on four aspects in taking a look at the Cross, our view of God, dating, and our future. This series is biblically-based with the theme being living a life of grace. This talk or series focuses on the issue that teenagers and parents are facing which is - Dating. Dr. Handy gives a fresh perspective on dating and the opportunities that God has in store for your future. Through questions, teenagers are called to see if they have any questions in their dating life. These talks focuses on Fear and what every teenager must wonder since 9/11 - "What is going on in our world?" Through practical steps, Dr. Handy takes the audience through ways we as Christians need to combat the fear of a world seemingly spinning out of control. In this workshop he teaches us that only the peace of God will we be able to put the world's events in perspective. That knowing Christ is the answer to the on going problems our youths are facing today. Racism is a learned behavior. If you don't believe it, just watch little children playing together and the way they interact with one another. Then look at the same child once it has been taught the differences between the races. In this workshop, Dr. Handy teaches us that Jesus Christ, the Son of God, who said that before we can get into heaven we must be as little children, that is to say humble, kind, innocent, quick to reconcile, loving, forgiving, and caring. One will come away refresh and renewed to rebuild those bridges that have been broken by racism. Dr. Handy will enlighten, educate, instruct, and motivate the audience to begin to rid our society of this plague that has crippled us to unite in true brotherly love. In this workshop Dr. Handy demonstrate the importance of mentoring and how it can change a child life and benefit the individual who is mentoring. Dr. Handy serves as the executive director of I.C.A.N. (Innovative Community Action Network) mentoring program for over 10 years and has helped 100s and 100’s of youths achieved their full potentials and dreams. In this workshop adults learn how to start-up a mentoring program, how to recruit and train volunteers, seek out the youths, work with the media to get your program the recognition it needs to be viable within the community, work with area businesses to obtain donations, and how to seek funding to keep the program going. Are we too preoccupied, too distracted, too busy telling the world we are Christian rather than living a Christian life. Nothing on anyone's agenda is more important living for Christ!! In fact, the hectic pace of modern life only promotes the importance of living for Christ. We will see that without Christ life becomes meaningless and powerless. As we live for Christ our life will display his spirit within us on day to day bases. "I liked when he said “Do not be afraid to change your life and the world around you.” Do not be afraid to allow God to love us. He loves us and because God loves us we have no need to fear any man or any life given situation. Those words have been an encouragement to me in my day to day struggle.” I can never thank you enough for encouraging me to overcome my fears. You help me to hear God calling and for me to get more serious about following Him." "Pastor Handy offers an assortment of topics for people of all ages which are pertinent to the challenges and tasks of today's life. He is not only an excellent speaker, but also a gifted teacher. I have heard him teach at several different events and every time, his message has blessed me in a very special way." "Rev. Handy demonstrated his ability to work with some very difficult people and to solve problems which he did not create. His ability to mediate situations involving persons of different races and educational levels are exceptional." "Rev. Handy loves God and loves people! His enthusiastic presentations based on God's Word both encourage and challenge people of all ages to a life of joy and deeper faith." "Rev. Handy is a remarkable man and a compelling speaker. With an incredible sense of humor, he has the uncanny ability to share the moving story of his personal losses in uplifting presentations that give listeners hope, encouragement and insight: as well as "take-home applications" for their own lives. I highly recommend him!" I first "met" Pastor Handy in an on-line Christian chat room about 6 years or so ago. I suffer from depression and other illnesses, and he has taken time regularly ever since that meeting to uplift and encourage me. I thank God for this mighty man of God who so selflessly gives of himself to so many, asking nothing in return. He is anointed, he is blessed and I pray God's very richest blessings for him and his family in Jesus' name. There have been many times when he has sent a note or prayer of encouragement just at the right time. I can't say enough to do him justice but again I thank God for bringing our paths together. I love Pastor Handy with all my heart in Christ.